Hollywood’s brightest stars have joined forces on the Oscars red carpet, battling it out in the style stakes with some incredible outfits. Everyone from Helen Mirren and Glenn Close to Lady Gaga stunned in floor-length ball gowns, as they gathered to honour the very best of the movie industry from the past year. 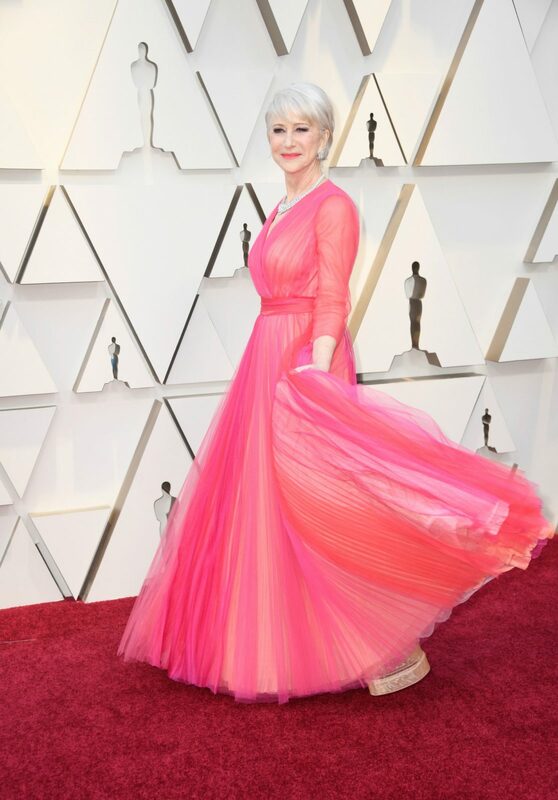 Helen, 73, stole the show early on in a vibrant pink dress, looking elegant as ever as she posed for snaps in front of the sea of cameras and reporters. The actress looked sensational in the tulle gown, which she coordinated with a matching pink clutch. Wearing her hair loose with a sweeping fringe, she once again defied the years for the annual bash. 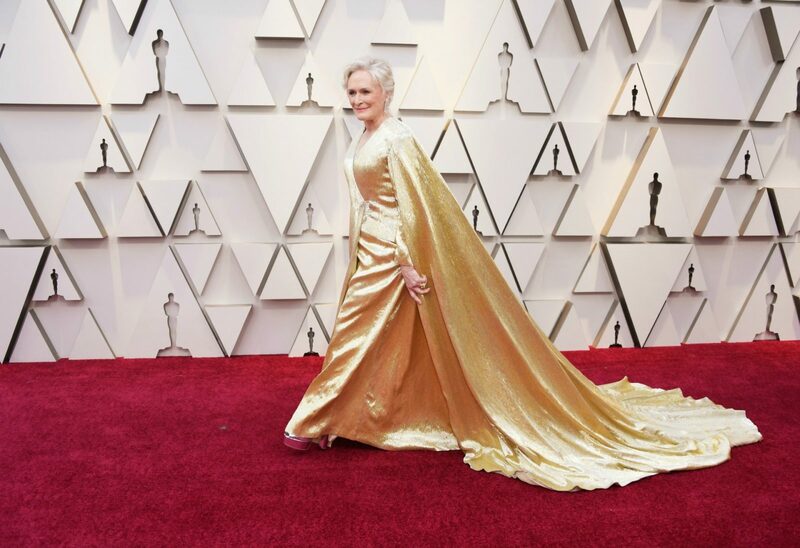 Elsewhere, Best Leading Actress nominee Glenn Close made a stylish entrance in a glittering gold gown, which featured a dramatic cape that dragged along the floor behind her. The 71-year-old, who is known for her out-there style, looked impeccable as she completed the look with a pair of 70’s style platform heels. With her blonde locks styled in the soft waves, Glenn looked every inch the leading lady as she stopped to have her photo taken. Glenn bagged her seventh Oscar nomination, thanks to her incredible performance in The Wife. She is up against The Favourite’s Olivia Colman, Lady Gaga for A Star is Born, Yalitza Aparicio for her role in Roma and Melissa McCarthy for Can You Ever Forgive Me? 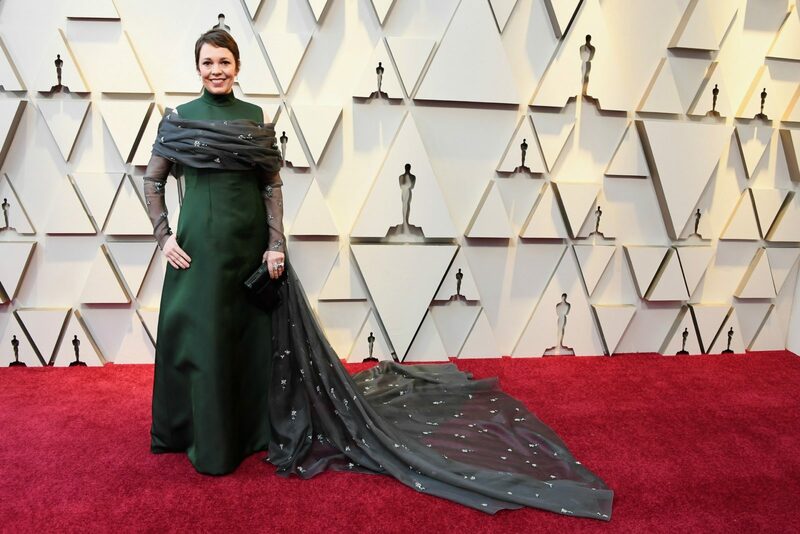 The Crown’s Olivia Colman, 45, followed close behind as she made her own bold statement in a classic green gown. Stunning in the timeless number, she coupled it with a glittering shawl which fell to the floor. She wore her short brunette locks in soft waves and kept her makeup to a minimum, which included a soft blush and red lips. 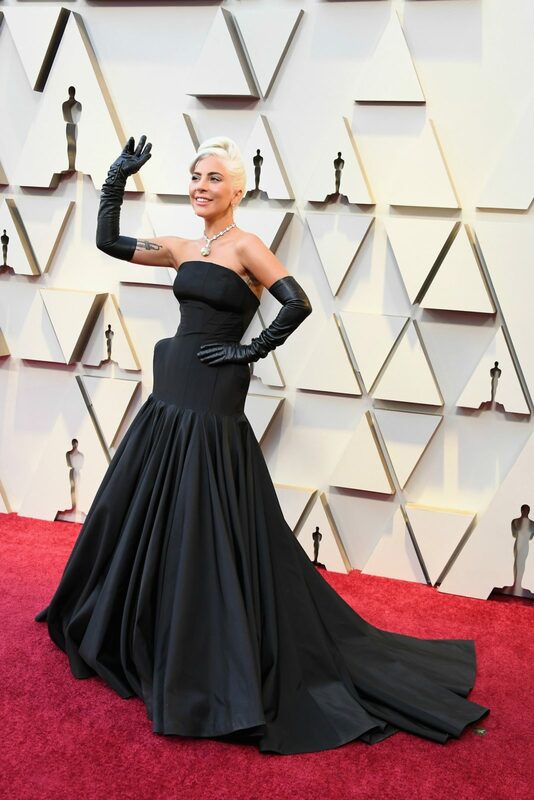 A Star Is Born actress Lady Gaga was certainly one of the most extravagantly dressed stars of the evening and dazzled in a strapless black gown which featured a long train and quirky padding to accentuate the singer’s hips. To finish the standout outfit, the singer wore her hair in an elegant high bun, and accessorised with a diamond necklace and long black leather gloves. Meanwhile, Big Little Lies star Laura Dern commanded attention in a burgundy strapless gown with a sweetheart neckline. The 52-year-old actress completed the look with a standout diamond necklace, and wore her honey-blonde locks in soft waves to the side.